Instructure, creators of the Canvas LMS, visited our district and my classroom recently; it was great to host them. They sent a thank you package to us. 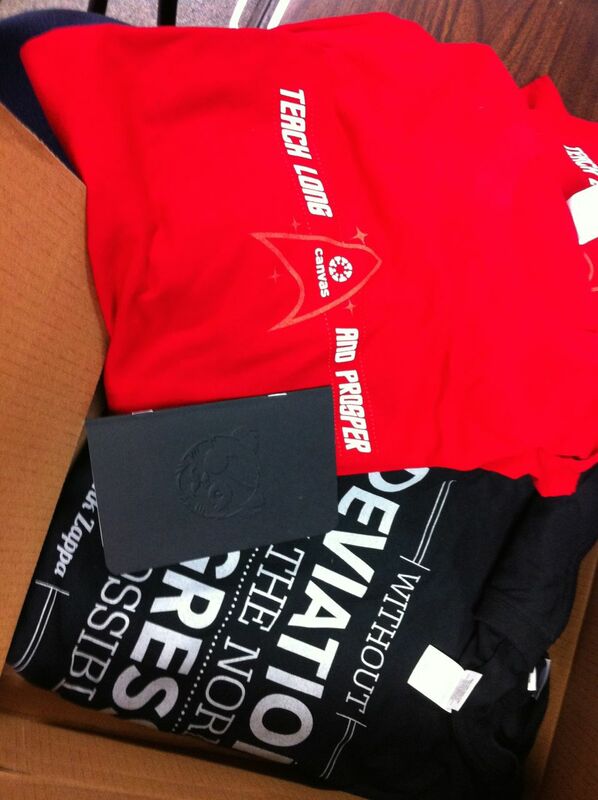 We have a couple neat shirts to wear and great notebooks for each student. Very cool!